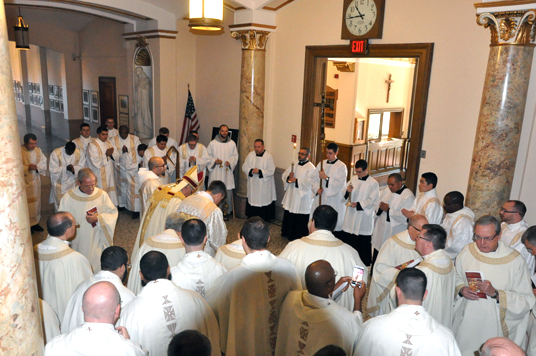 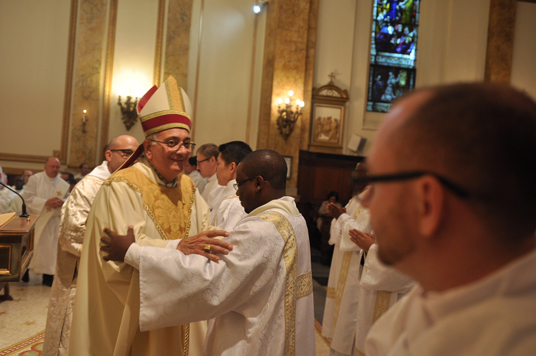 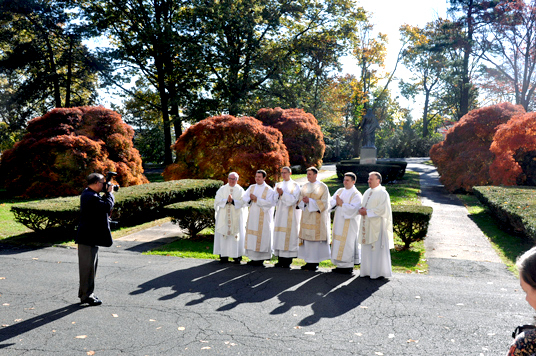 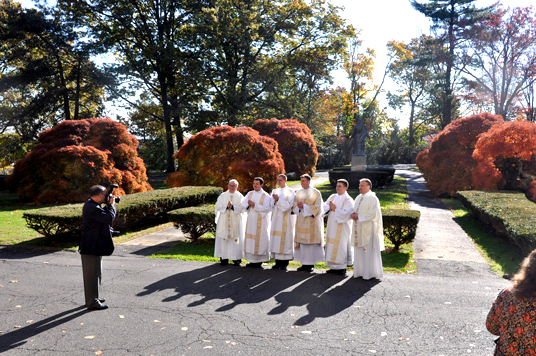 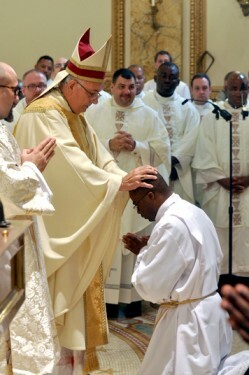 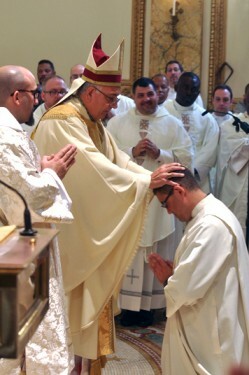 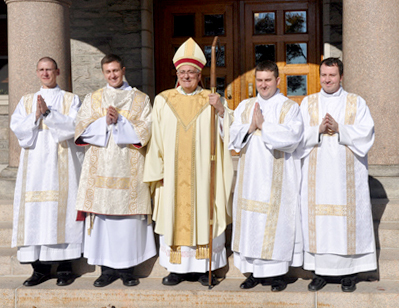 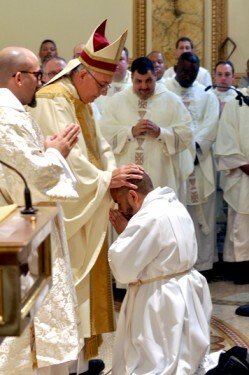 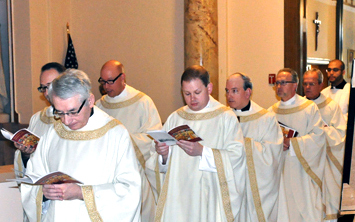 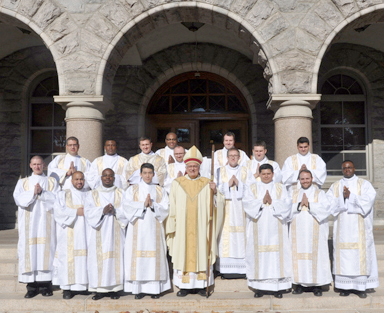 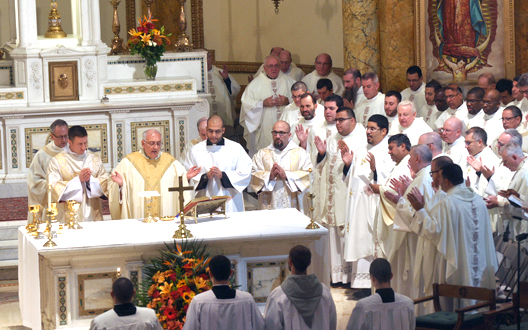 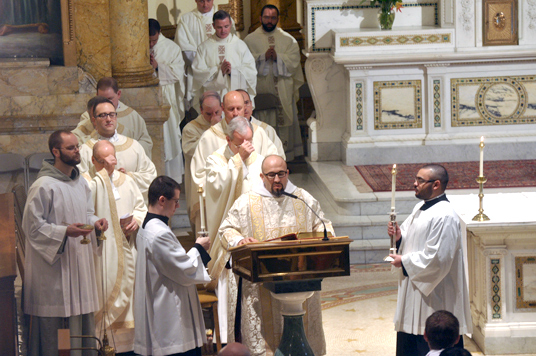 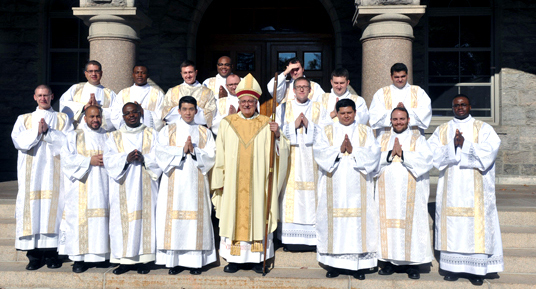 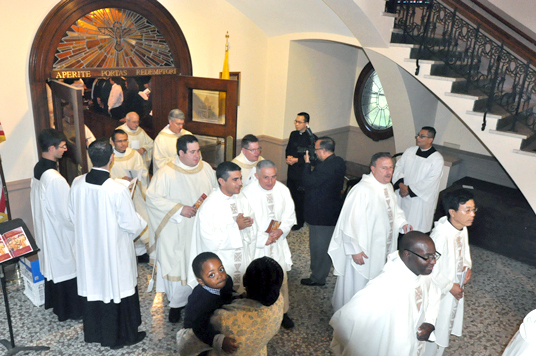 Bishop Nicholas DiMarzio ordained 16 men to the transitional diaconate Nov. 5 at St. Joseph’s Seminary, Dunwoodie. 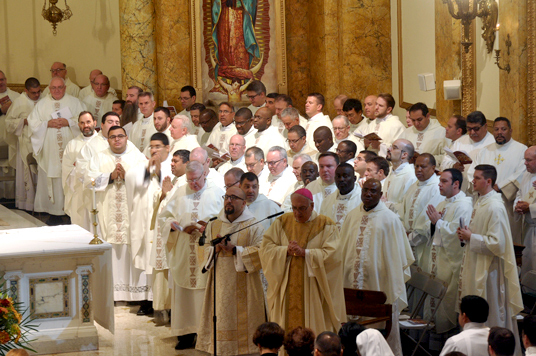 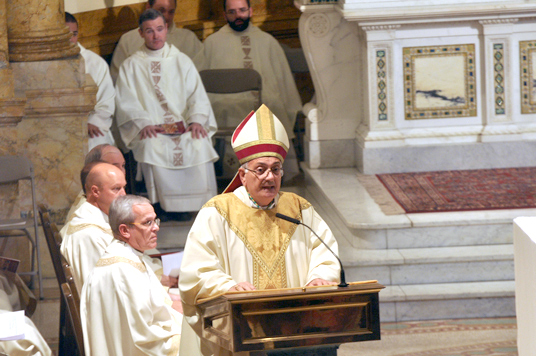 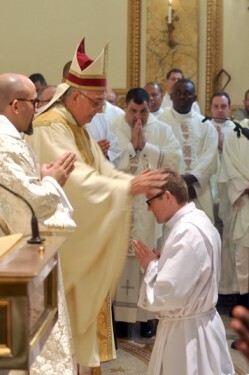 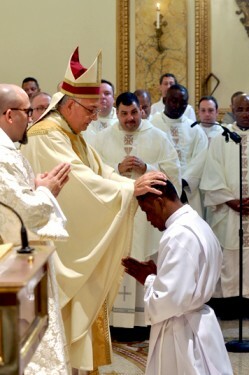 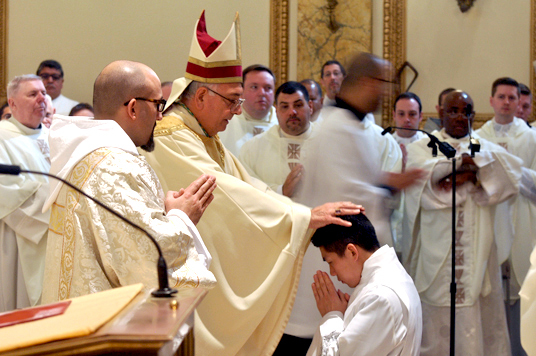 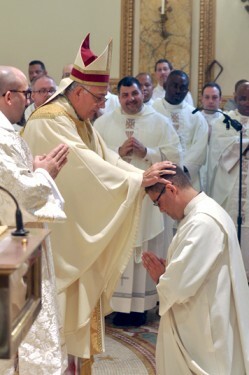 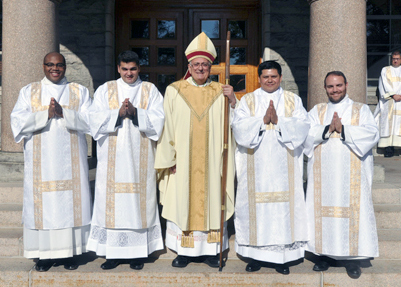 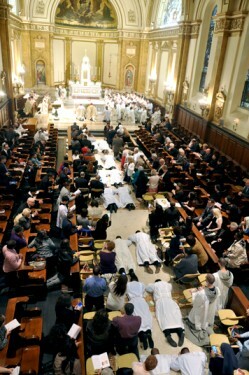 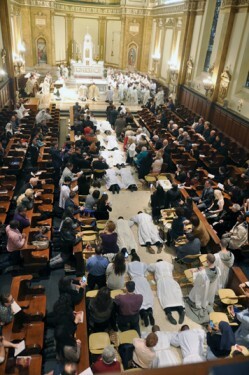 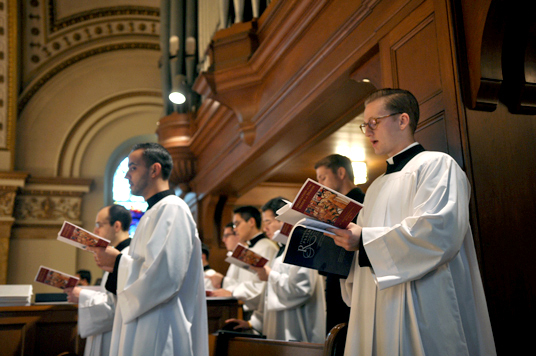 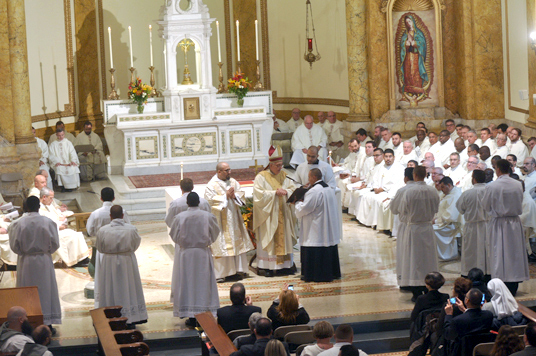 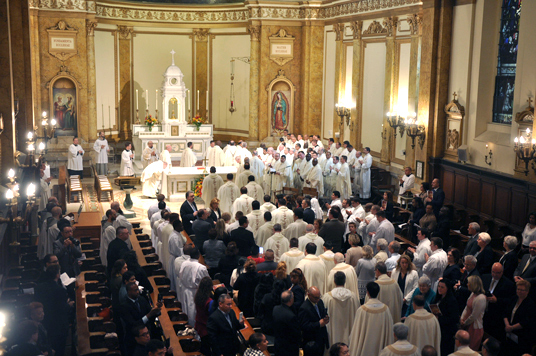 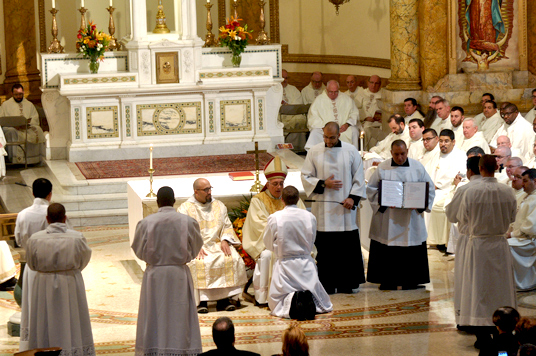 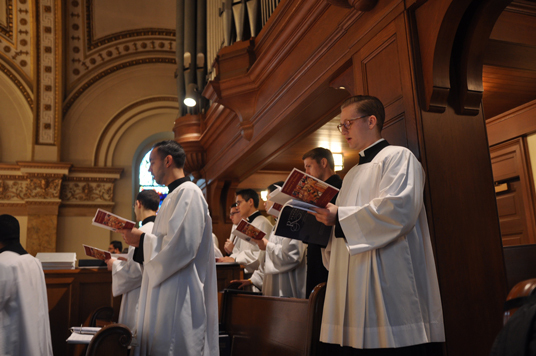 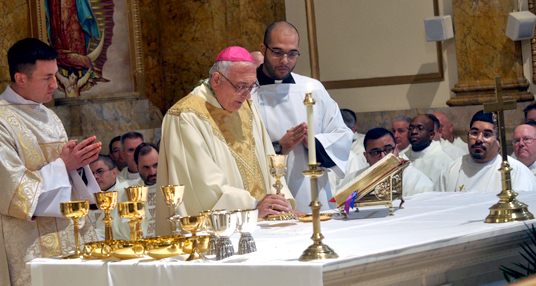 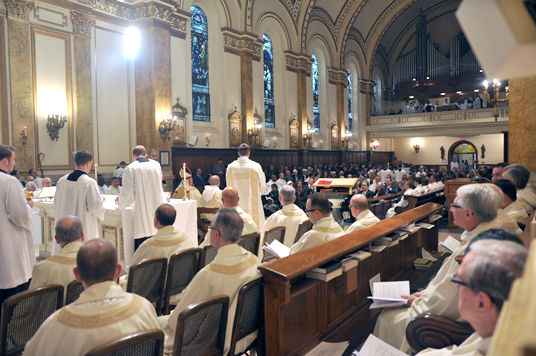 Eight of them will be ordained priests for the Brooklyn Diocese in the spring; four will be ordained for the Archdiocese of New York, and four for the Rockville Centre Diocese. 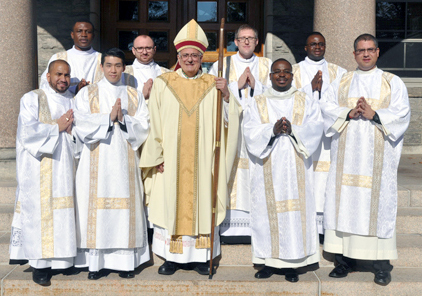 The deacons from Brooklyn and Queens and their diaconate assignments are: back row, from left, Rev. 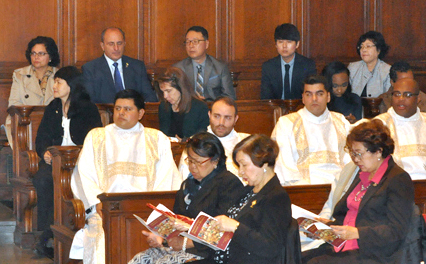 Mr. Ikenna Okagbue, St. Sebastian, Woodside; Robert Mema, Resurrection-Ascension, Rego Park; Szymon Galazyn, St. Anselm, Bay Ridge; Michael Ugbor, Blessed Virgin Mary Help of Christians, Woodside; and Michael Panicali, Most Precious Blood, Bath Beach; front row, Henry Torres, Mary’s Nativity-St. Ann, Flushing; Pil Koo Hwang, St. Mary Mother of Jesus, Bensonhurst; and Willy Kingsley Ndi, St. Martin de Porres, Bedford-Stuyvesant.